Product prices and availability are accurate as of 2019-04-08 14:42:49 EDT and are subject to change. Any price and availability information displayed on http://www.amazon.com/ at the time of purchase will apply to the purchase of this product. cineMobile Plus combines all of the essential DVD tools to help you get the most out of your media experience. Copy ANY DVD to protect your movie collection. 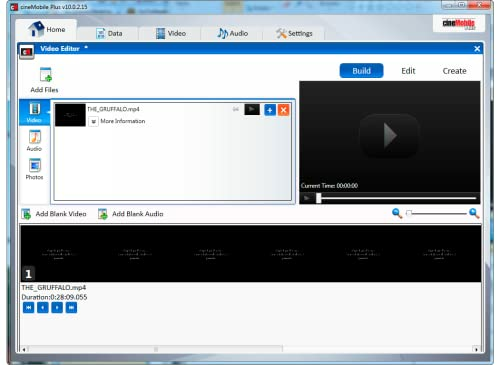 Create & Burn DVDs from internet videos or downloaded movies. 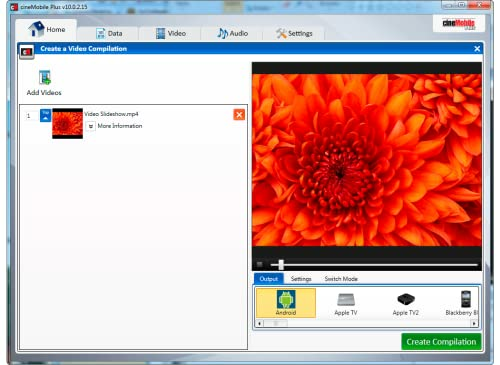 Convert DVDs to all popular formats and transfer them to your phone or tablet. 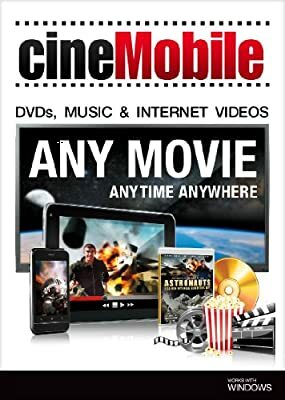 Watch movies anywhere on almost any device including smartphones, tablets, iPhone, iPad, iPod, Android, BlackBerry, Kindle Fire, Nook, and more! Download & Burn Internet Videos. Create DVD compilations. 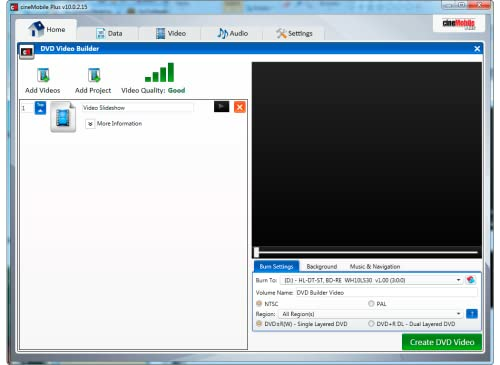 Convert Video files to all popular formats. Burn video files to DVD. Create & Copy Data Discs to CD, DVD or Blu-ray. Edit videos and create your own DVD menus. Digitize your music collection in Full digital quality. Burn ISOs and Backup Audio CDs. cineMobile is your essential DVD toolkit. Convert Any Video: Convert any DVD or Video to play on your computer or mobile device including iPhone, iPad, Android, and Blackberry. Copy DVD's and CD's: Burn backups of your entire DVD and CD library. Make true 1:1 copies of ANY DVD movie. Download Internet Videos: Download videos and music from your favourite streaming sites. Audio Converter: Preserve, protect, and enjoy all your music in full digital quality. Convert music and audio files to all popular formats.